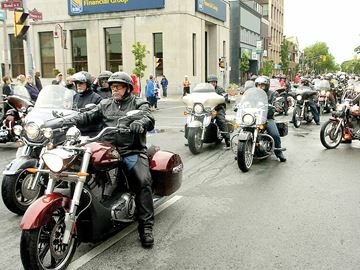 ORT HOPE -- The Heroes Highway Ride and Rally in support of Canadian veterans and troops is eyeing Port Hope as it next destination. Road safety has become a high priority focus in the West after years of high insurance claims, injuries and deaths. The evolution and quality of automobiles and motorcycles have contributed to lowering the number of claims, as have the efforts of safety equipment manufacturers. On any given year, untold bucket lists have an item struck off by bikers around the world as they ride into the legendary Sturgis Motorcycle Rally. Harley design guru Willie G. Davidson is behind some of the company's most beautiful bikes. Vintage Steele is a custom motorcycle garage in Brattleboro, VT founded by Josh Steele and Chris John. 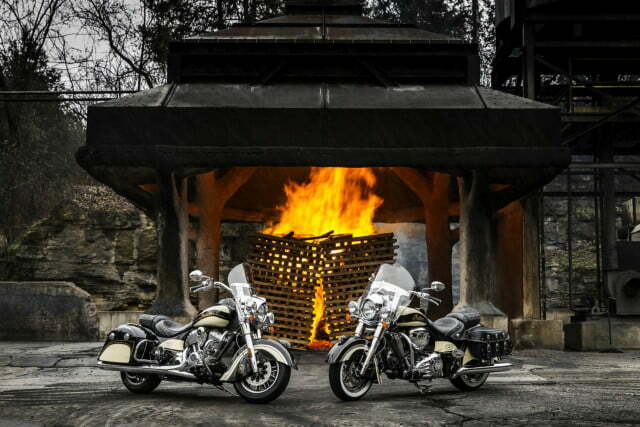 Indian Motorcycle®, America’s first motorcycle company, is happy to announce that the entire production run of the Limited Edition Jack Daniel’s® Indian® Springfield™ and Indian® Chief® Vintage motorcycle models was sold in just one day. COSTA MESA, Calif. (KABC) -- The two would-be motorcycle thieves were well-prepared. They brought bolt cutters, rope - even a can of gasoline to make sure their stolen bikes were fueled up and ready to go. On the racing track Royal Enfield might not be a worthy competitor for Harley Davidson’s power; however, the story is different when you compare the sales figures of these two leading bike manufacturers. Strs Ohio boosted its stake in Harley-Davidson Inc (NYSE:HOG) by 24.1% during the fourth quarter, according to its most recent 13F filing with the Securities and Exchange Commission (SEC). The 2016 Harley-Davidson Low Rider S is the latest addition from the Milwaukee-based V-Twin stalwart brand – and what the Motor Company has produced is once again nothing short of an instant classic. SANFORD, Fla. —Four people were injured in a crash during a memorial motorcycle rally Sunday in Sanford. Even heroes need help sometimes. 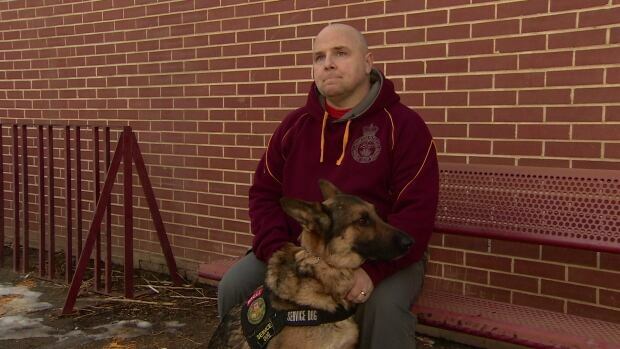 For some of our brave service members, coming back from war is not the end of the battle. Before Diego, Jeffery Yetman could barely make it outside on his own. Tulsa, OK – Yamalube/Westby Racing proudly welcomes sportbike parts and accessories company TST Industries, LLC, as a supporting team sponsor for the 2016 MotoAmerica AMA/FIM North American Road Racing Championship. HELLS Angels Motorcycle Club — the world’s most powerful bikie gang — is attempting to establish itself in WA. Following an announcement last month of the Limited Edition Jack Daniel’s Indian Chief Vintage, Indian Motorcycle has now revealed a Springfield version. BREA, Calif. – From consumer demo rides to racer celebration parties, Suzuki has packed Daytona Bike Week with opportunities to meet and thank Suzuki riders, and to welcome new enthusiasts to the family.